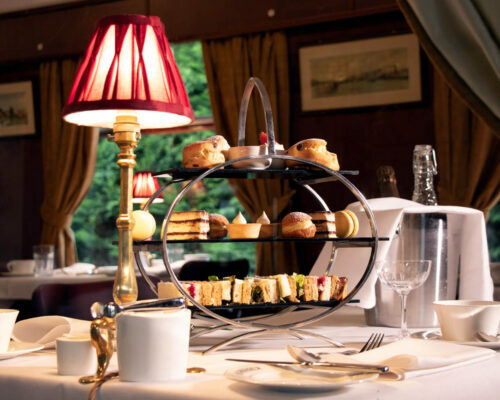 Indulge in a slice of one of the finest British traditions and enjoy our Afternoon Tea. 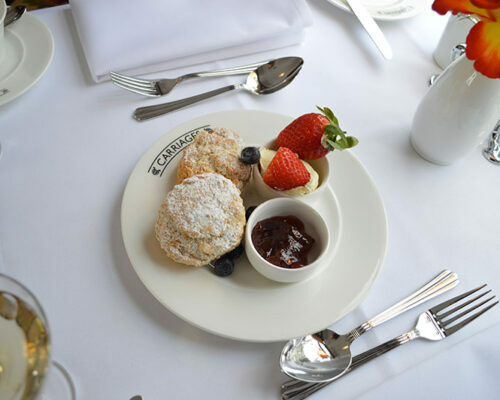 Spoil yourself with a selection of our hand prepared sandwiches, daily baked scones with Cornish clotted cream with a selection of jams, lemon curd and our signature petit fours. All afternoon teas are served with our handpicked single estate teas or single origin Coffees. As well as a selection of Champagne, wines and award-winning ales. 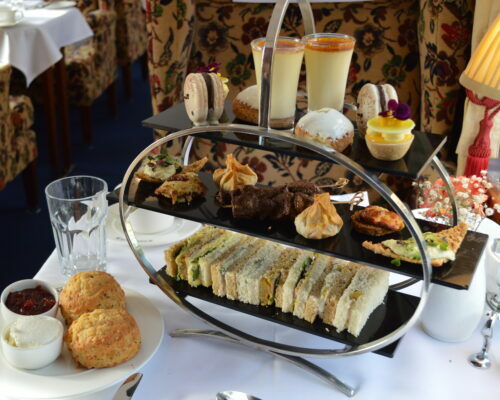 Afternoon tea is served Tuesday to Saturday at two sittings- 12.30pm and 3.30pm. The provenance of our ingredients is paramount and we are working with the finest food producers in the region as well as having our own onsite Victorian Kitchen Garden and Hens for our super yellow free range eggs. 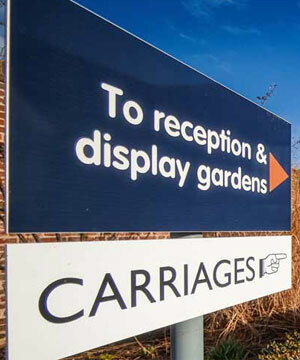 Make an Enquiry Today Click here to Make an Enquiry or organise private hire. Two freshly baked scones, served with Cornish clotted cream and jam or lemon curd and butter. Accompanied with a choice of single estate teas or single origin coffees. 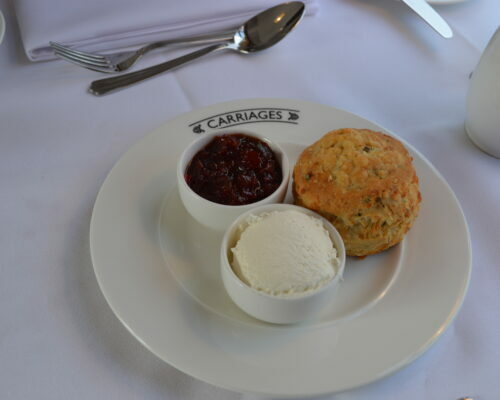 One large freshly baked cheese & chive scone, served with chilli jam and sour cream. Two freshly baked scone plain or fruit, served with Cornish clotted cream and jam or lemon curd and butter. A selection of freshly made finger sandwiches. Large Savoury Cheese & Chive scone, served with chilli jam and sour cream. A sweet selection of homemade petit fours. 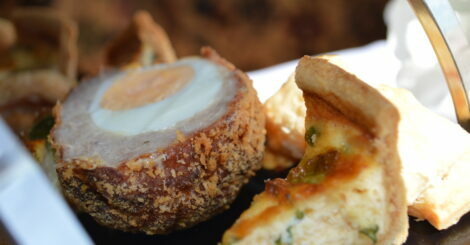 A selection of some of your old English savoury favourites. A selection of freshly made finger sandwiches with fresh fillings. We work with Rosegate Farm Swavesey who rear and butcher their own beef, pork and lamb and M Searle’s of Sawston. Our Head Chef works with our gardeners to plan the planting and harvesting of as many fruits, vegetables and herbs as possible. To fill in the gaps of our own produce we work with Ron Jakobs in Fenstaton. We offer a range of bespoke Single-Estate teas and Single Origin Coffee roasted and supplied by our good friends at Sidewalk Coffee company, Caldecote. As well as offering iced water, we have chosen to work with the Cambridge Juice Company for our juices. 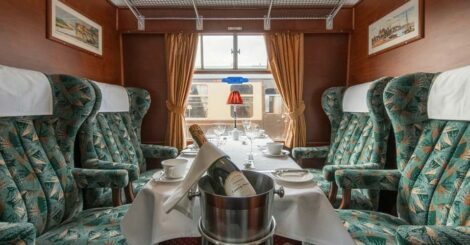 If you are looking to add some sparkle to your Afternoon Tea we serve a range of sparkling wines and Champagne, but if that is not to your liking we have a lovely selection of wines and award-winning ales from Woodfordes Brewery in Norwich and Box Steam Brewery in Wiltshire. We currently cannot cater to vegan or dairy free dietary requirements. Please be aware, whilst we have strict controls in place to reduce the risk of contamination, unfortunately it is not possible for us to guarantee that our dishes will be 100% allergen free. Please inform when booking if you have any food allergies. 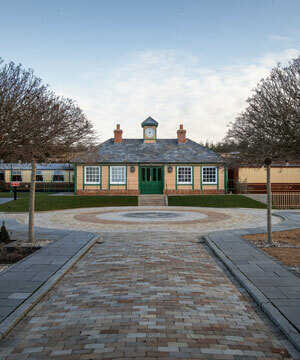 Due to the nature of these premises all children under the age of 12 years must be accompanied and are the responsibility of the parent or guardian. The Management cannot be held responsible for any injury incurred however caused.